The duration of the presentations is 15 minutes including questions for general oral presentations (marked as O-sessions in the program) and 20 minutes including questions for the symposia (marked as S-sessions in the program). Please go to your room in the break before your session to copy your powerpoint to the computer and introduce yourself to the session chair. The presentation computers are running Windows 10 with Office 2016. Both VGA and HDMI is supported if you need to use your own laptop. Speakers should plan to finish a few minutes before their 15 or 20 minutes is up to allow time for questions. Session chairs will keep strict time to allow delegates to move between parallel sessions. The best student paper will get an award. Poster sizes will be A0 portrait or A1 landscape. 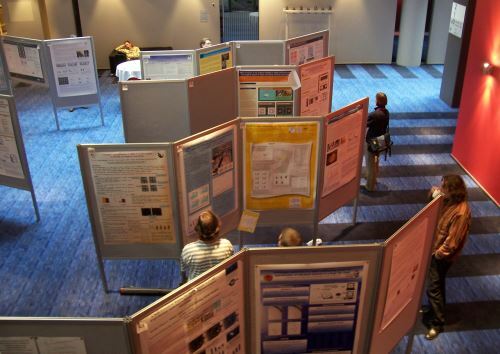 Authors should put thier posters up in the lunch break before their poster session, and remove them afterwards. Each of the presenters will have a stand in the room and small groups of participants will move from one demonstration to the other. A presentation will take ten minutes, and after that a bell will ring and the group will move on to the next demonstration. The two Demonstration Showcase sessions are in parallel with the posters, so participants can move the between the two and if the demonstrations are very busy come back later. The conference organisation will provide a screen, the presenters will need to bring their own laptop.